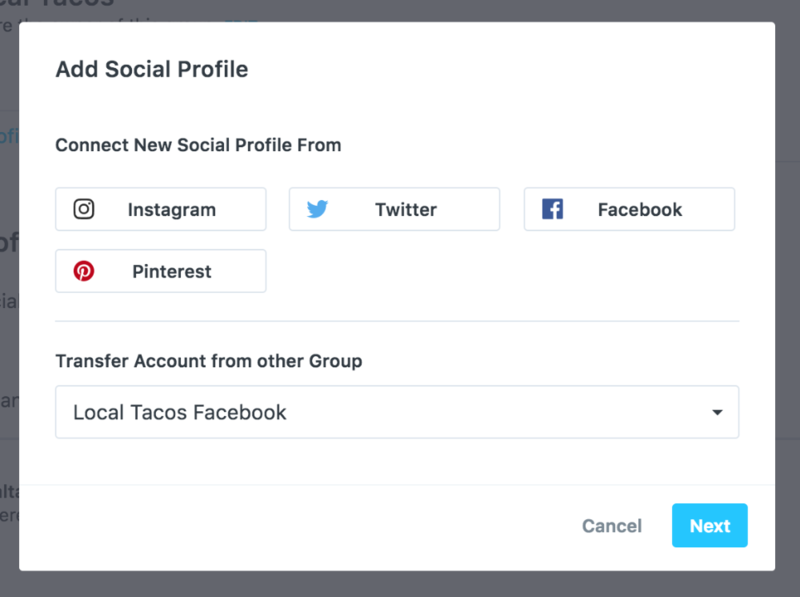 A common workflow is to share your Instagram posts to Facebook during the process of posting to Instagram; however, this option isn't currently possible within Later -- but we have an easy process to schedule your posts to both profiles at the same time! Click on the plus icon (+) at the top of your Calendar screen. Then, click Facebook and log in to choose the Facebook Page you want to share your posts to -- just follow the prompts! Important: Pop up blockers can really mess with Later's ability to get authorization from a social network, especially Facebook, so make sure you've shut them off! Need help? Check out our full article here. Next, tailor your captions for the different networks you're posting on! The way hashtags are used on Instagram is very different from the way they're used on Facebook -- you can make sure each post looks like it's aimed for that network! For more information on posting to multiple profiles, check out our full article here!